If you have a contemporary home you might be struggling to make your living spaces feel cosy and personal. 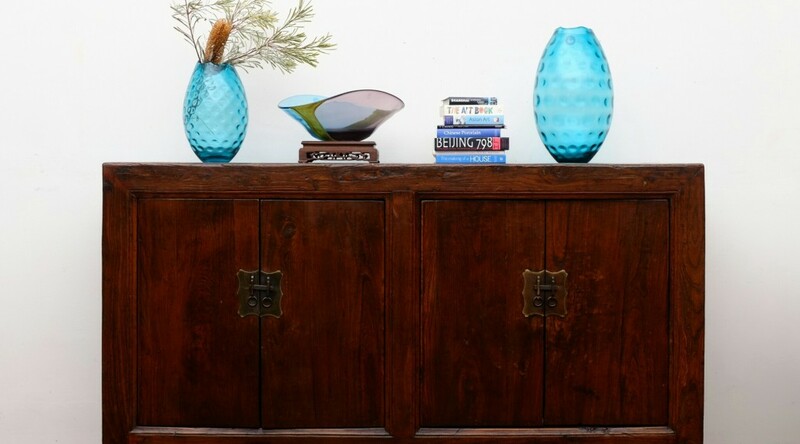 A great solution is to complement your modern décor and furniture with one or two antique or recycled pieces. 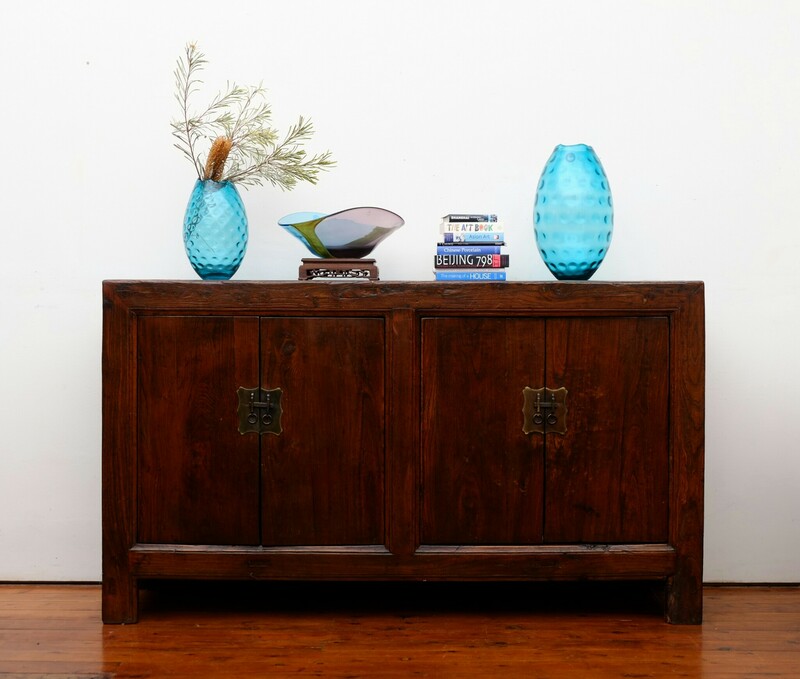 Old pieces of quality add character to contemporary interiors through their beauty, history and personality. 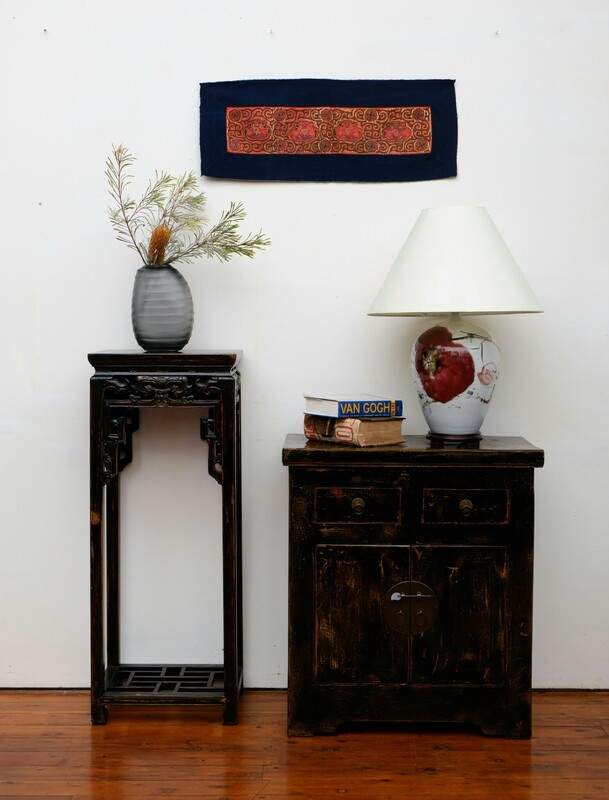 Old wood develops gorgeous textures and is sensuous to touch. 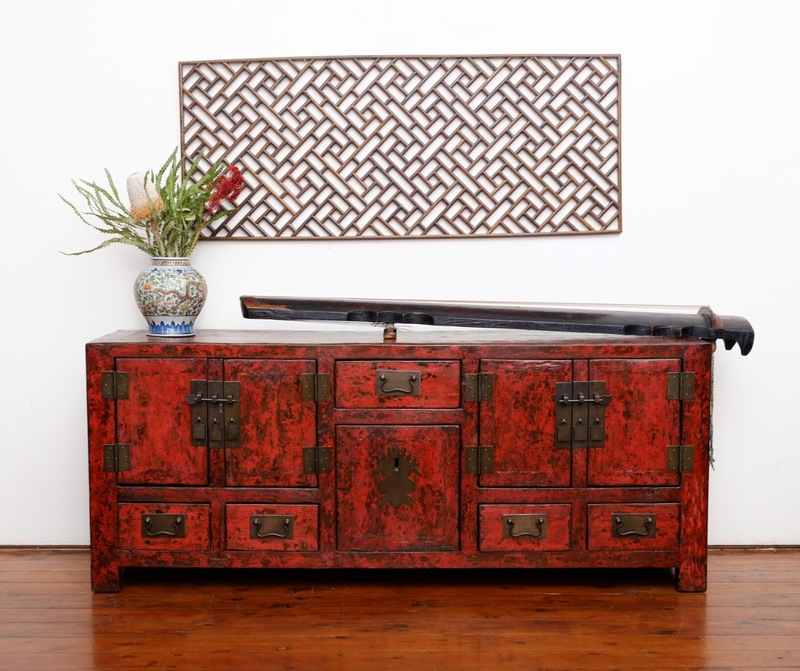 Old lacquered pieces have a fantastic richness that you just can’t recreate. 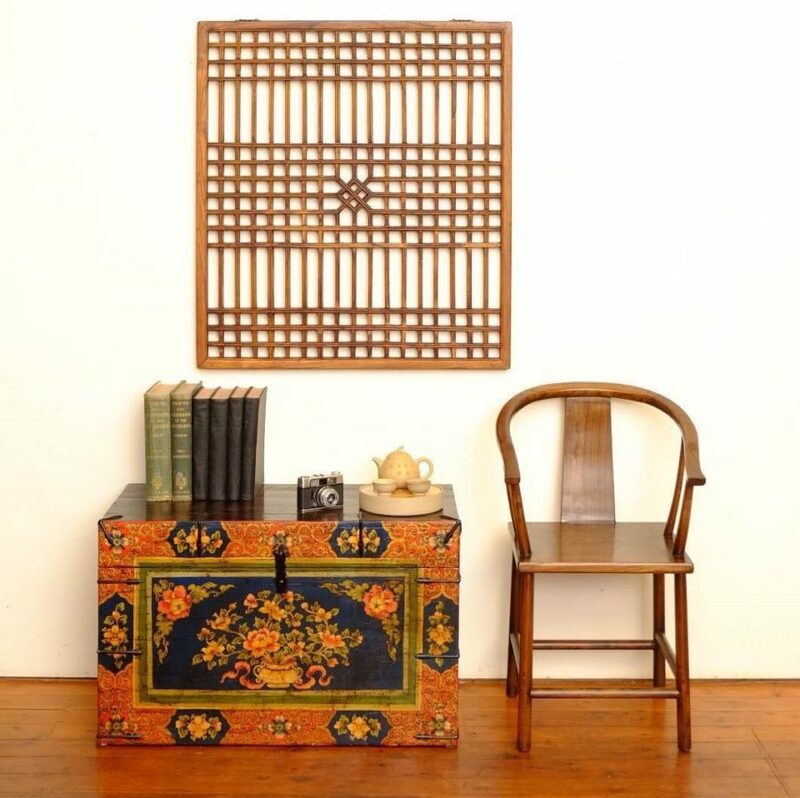 Our painted pieces also look very comfortable in contemporary spaces – and give you ‘art’ and ‘furniture’ in one package! 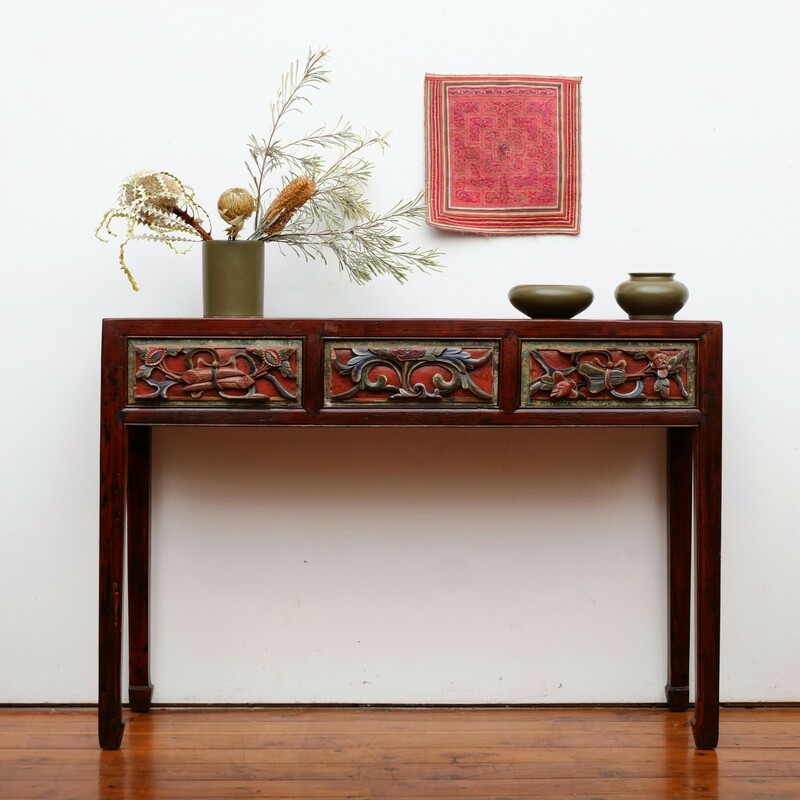 You’ll be pleasantly surprised at how practical furniture from 100 years ago can be. If you need to hide your CDs and DVDs below your widescreen television, one of our stunning low sideboards could be just perfect! Are you a craft person? Perhaps you make beautiful beads or other kinds of jewellery. 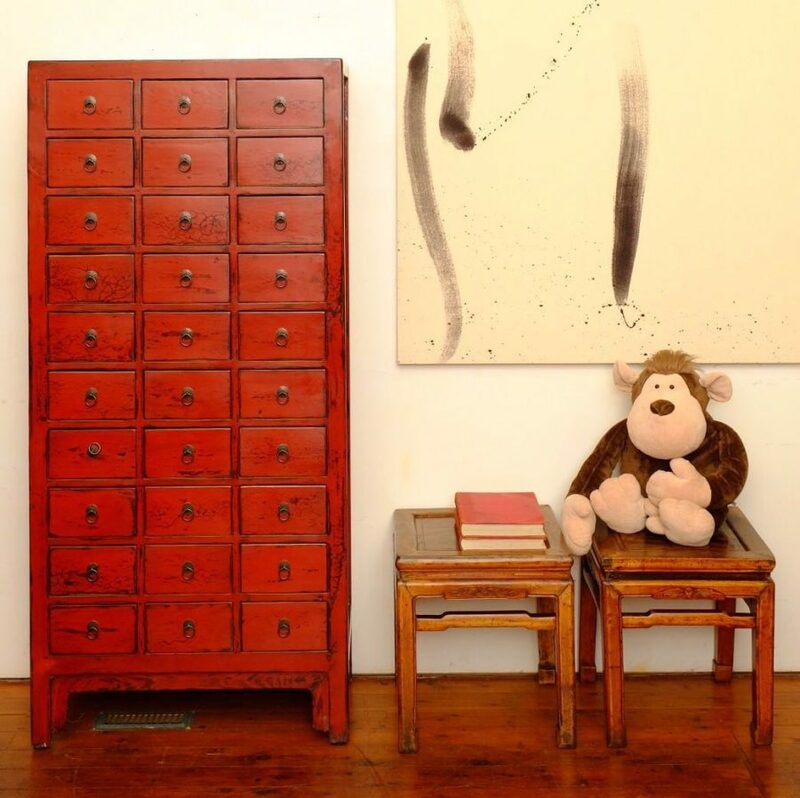 Our antique red lacquer medicine cupboard could be the ideal place to store your materials or finished wares – it would even store all those pieces of the children’s construction toys!